Water waves land is in mashhad, Razavi Khorasan province. Here can experience fun, excitement and having great time. 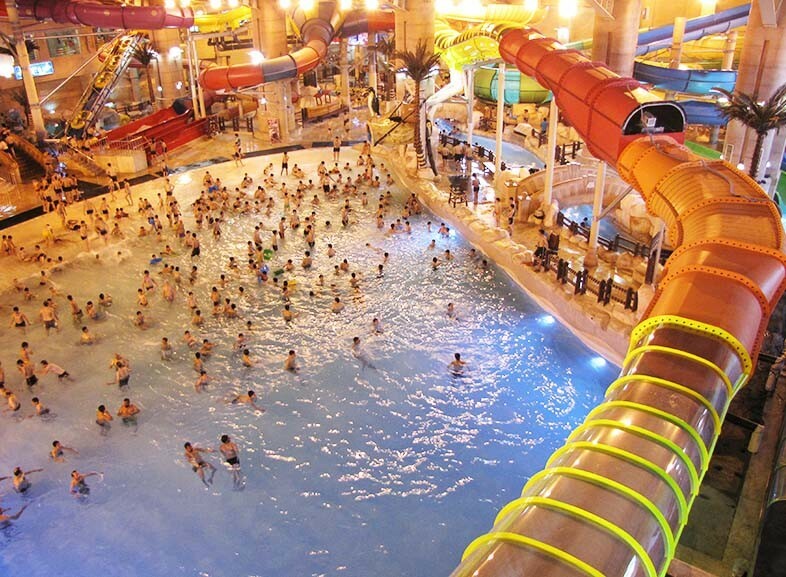 This huge place is the oldest water park in mashhad. Amazing architecture and design and also amazing slides and pools. First of all, I should mention some points, firstly you are not allowed to take any foods into the complex, secondly, you are not allowed take your smart phone and cameras, especially women. Thirdly, don’t do prank or any horseplay there with your friends it is really dangerous. There are some rules for swimming clothes that they will guide you. 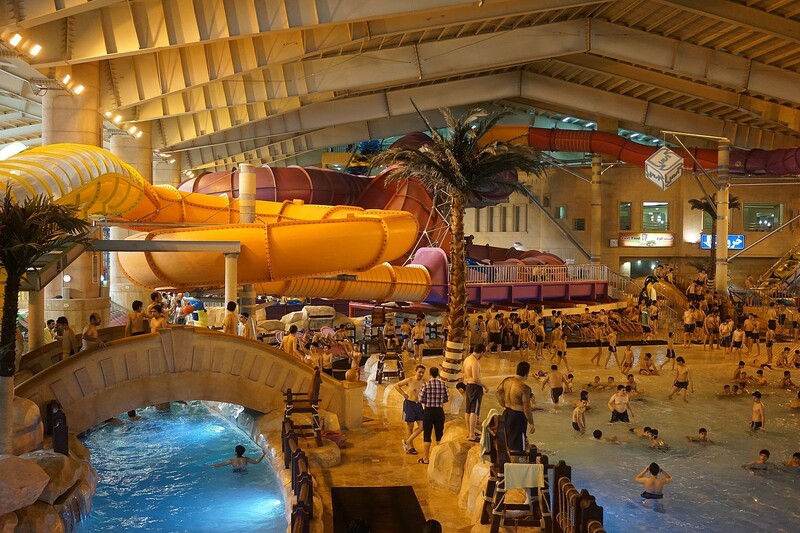 There are a lot of facilities there, like spa, sauna, showers, restaurants and coffee shops. It would be more cool and funny if you go there with your friends because in some waters games it would be hard to be with bunch of strangers. You can't go there with your partner or wife or boyfriend. Because men are not allowed to be there in females swimming hours. Also you can't take your children there under a special age that I am not sure which age. Have some extra clothes and towel. In this place you can experience free fall which I think is awesome but if you don’t have any heart disease and if you love adrenalin. I love to experience any excitement hobby so every time that I go there I try free fall. 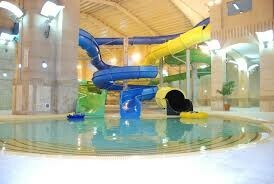 You fall into a tunnel that finish to a pool and slip into the water. There are other activities like space hole and every activity there is unique and you should try this and I think this place is really good to face your fears.As a clinical psychologist and therapist I recommend it very much. So don’t be afraid of anything and no one in there won't pay attention to you and don’t care what you wore or are you skinny or fat so let yourself free and try to have a great time because it worth it. This indeed is a great place to be with your friends. 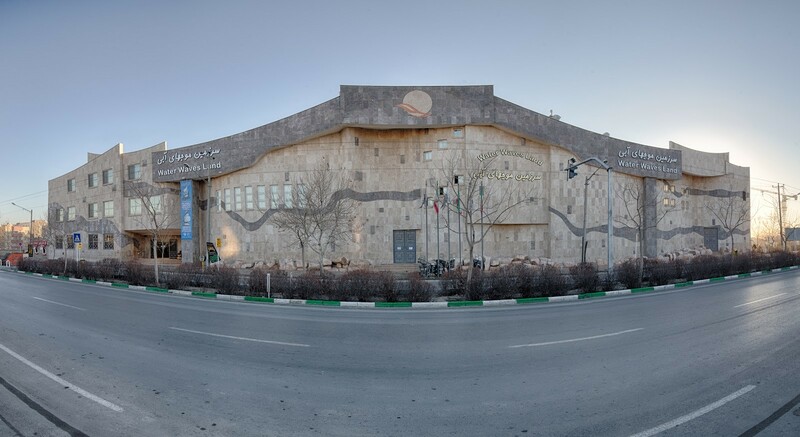 This is not only the oldest of Mashhad city but also the largest "indoor" waterpark of Middle East. This content has been entered in the Erasmus Travellers Competition and have earned 54 points. Do you know water waves land? Share your opinion about this place.